Nom Nom Nom…for Dad | Half Heart. Whole Life. 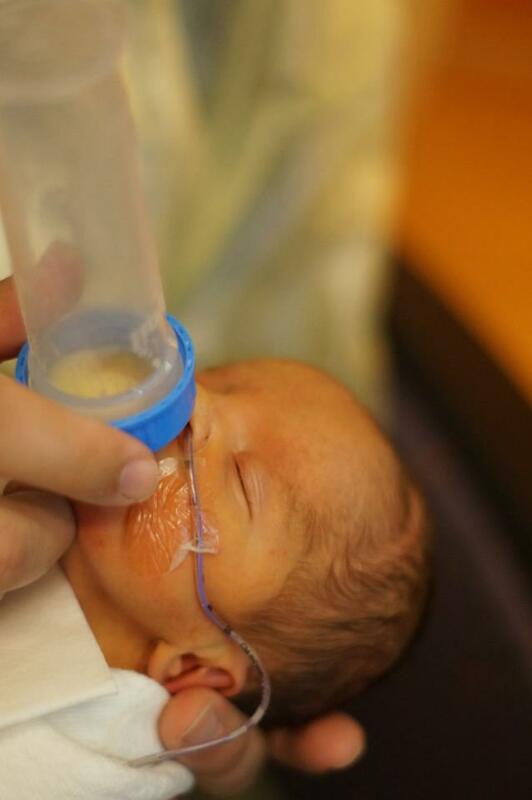 Yes that’s my tiny Nolan eating from a bottle I was giving him while in the NICU. This will always be an awesome moment for me and I’ll tell you why. Nolan wasn’t the best at bottle-feeding after birth. The nurses would give him about 15-20 minutes to complete a feed. If he couldn’t finish his feed on several occasions, they’d have to insert an NG (Nasogastric) Tube, which is a tube that goes in the nose and to the stomach for feeds. As you can see in the photos, he had an NG tube in by the time these were taken. 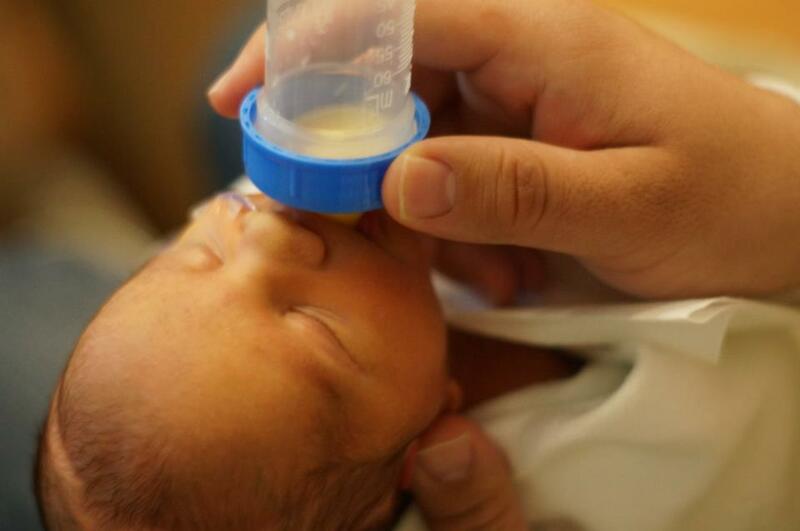 They WANTED him to bottle feed, to maintain his sucking reflex, but they also didn’t want to take too long to feed. One nurse told me that bottle feeding for little ones is the equivalent of you and I doing a pretty strenuous gym workout. That burns a lot of calories for Nolan and he would need every single calorie for surgery, since he was so small. My bond with baby Nolan became a pretty awesome thing: he could be having a rough day with his monitor going all bonkers, and I’d walk in and talk to him and everything would calm right down. So he knew me…we bonded…and it was awesome. Posted on October 25, 2013, in NICU and tagged bottle, CHD, congenital heart defect, dad, feeding, heart, heart baby, heart dad, HLHS, hypoplastic left heart syndrome, NG Tube, NICU. Bookmark the permalink. Leave a comment.